We offer five en-suite bedrooms, each with a private entrance and independent alarm system, LCD television, bar fridge, complimentary tea and coffee facilities, and wireless Internet connectivity. Ample off-road parking is also available with full security. 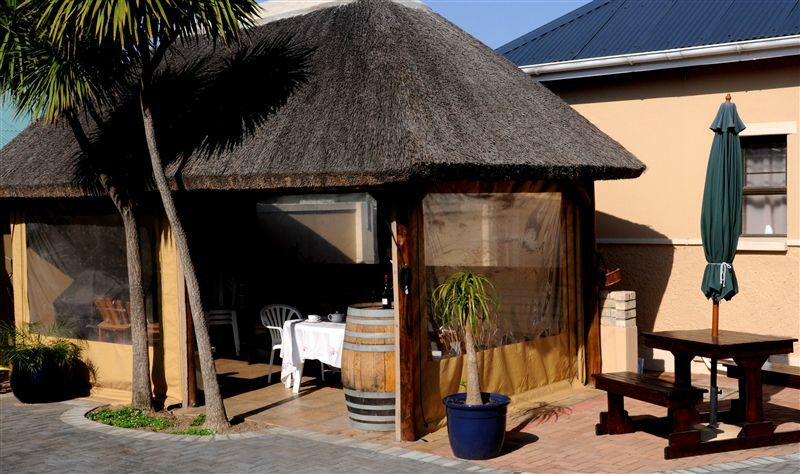 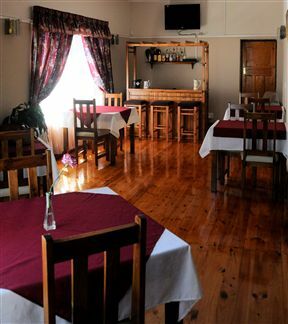 Breakfast can be served indoors or outdoors, and bar and conference facilities are available. 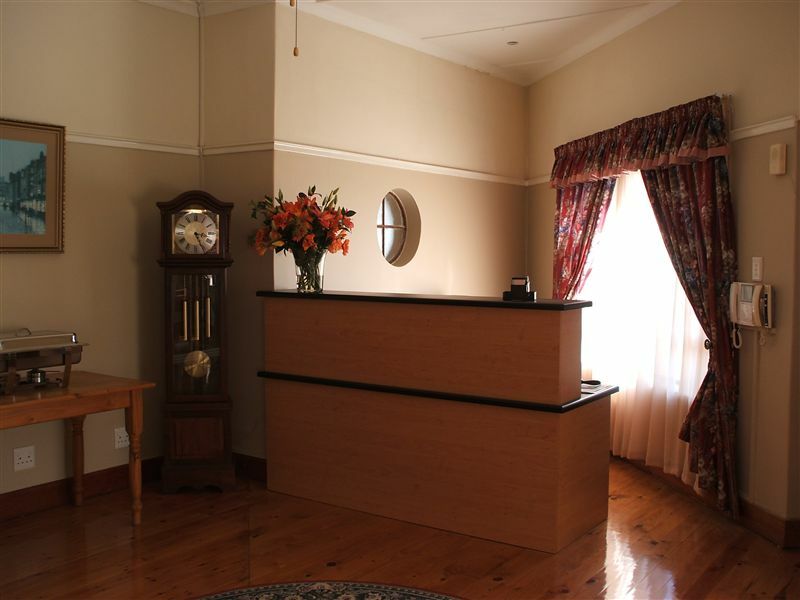 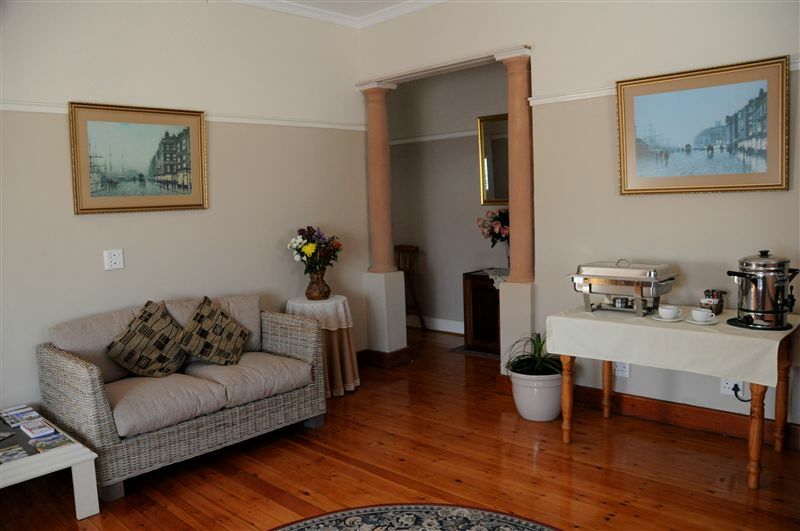 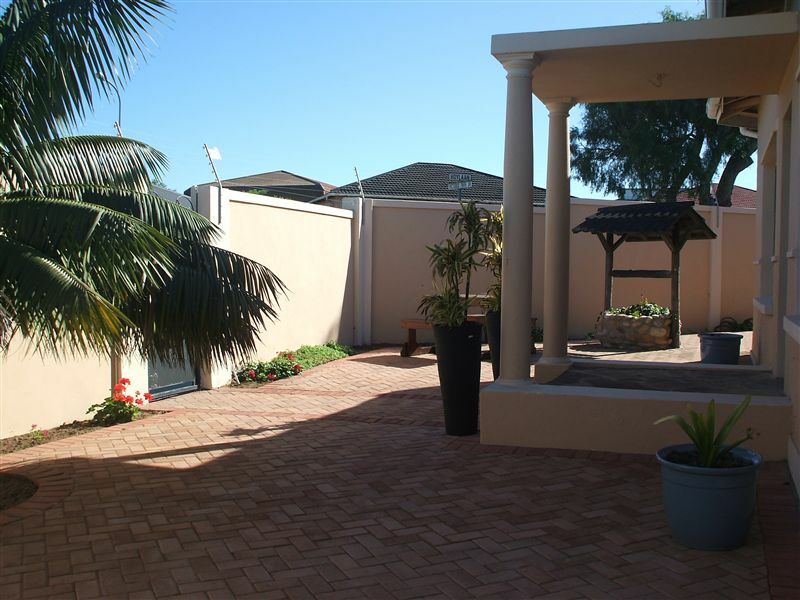 We are conveniently located three minutes from Port Elizabeth Airport, the N2 freeway, and the town centre, and five minutes from beaches, the casino, six golf courses, and major shopping areas. 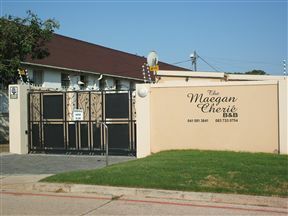 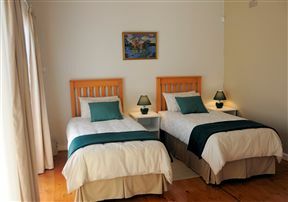 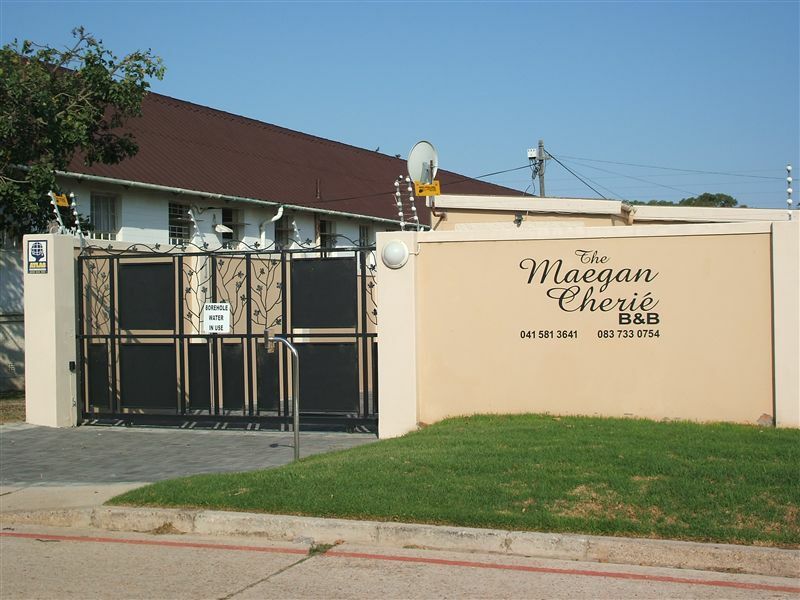 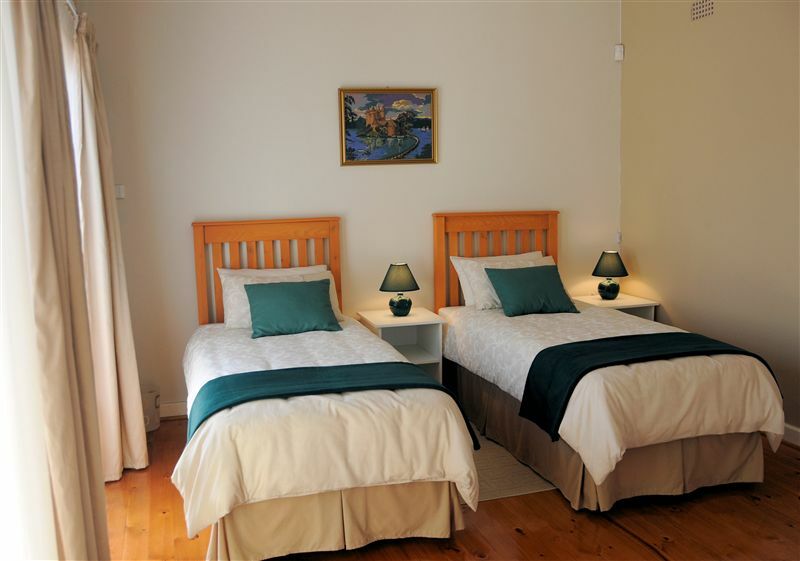 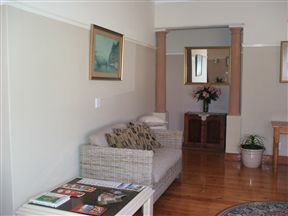 The Maegan Cherie B&B is within walking distance to Victoria Park as well as several restaurants and bars. 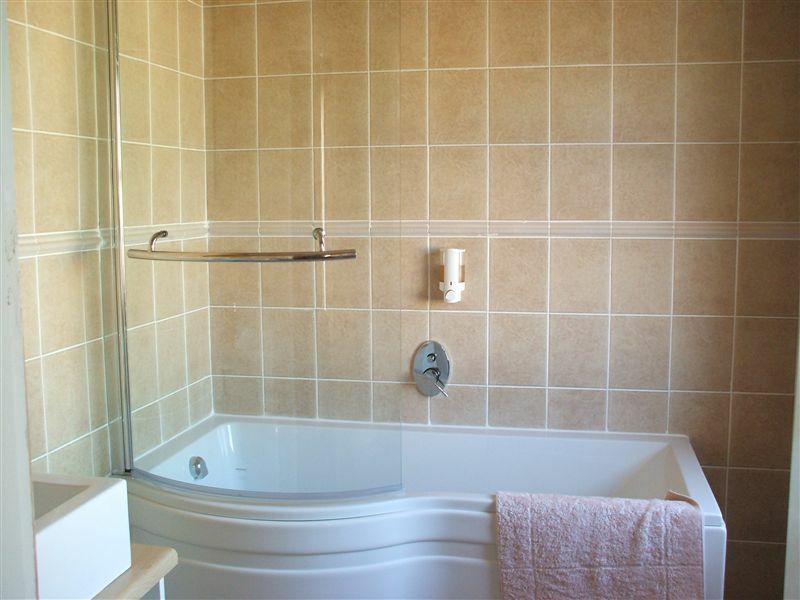 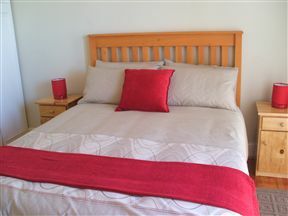 Double en-suite (shower or shower/Bath combo) with private entrance secure off road parking. There is a flat screen TV, bar fridge and complimentary tea and coffee facilities.